يضمن فندق Adara Richmond Apartments الذي رمم في 2015 لزائريه قضاء وقت ممتع في ملبورن، سواء جاؤوا في رحلة عمل أو سياحة. يقع مركز المدينة على بعد 2 Km فقط. ويمكن الوصول إلى المطار خلال 45 دقيقة. يشكل هذا الفندق ملاذاَ مريحاً للاسترخاء ويمنح زواره فرصة للاستجمام والتجدد، وهو يقع على بعد خطوات من المعالم السياحية الكثيرة للمدينة كمثل: بيكرامز يوجا, Niagra Galleries, جليدل. كما يقدم Adara Richmond Apartments الكثير من الخدمات لإغناء رحلتك في ملبورن. تتضمن الميزات الرئيسية في هذا الفندق: واي فاي مجاني في جميع الغرف, خدمة التنظيف يوميًا, توصيل من البقالية, خدمات بريدية, خدمة سيارات الأجرة. في Adara Richmond Apartments غرف نوم يزيد عددها عن 76 صممت بذوق وعناية لتوفر لك كل وسائل الراحة . بعضها يحتوي أضاً على مواد تنظيف, إغلاق, مناشف, سجاد, مرحاض إضافي. يقدم الفندق مجموعة واسعة من وسائل الراحة المتنوعة، كمثل: مركز للياقة البدنية. يشكل Adara Richmond Apartments بخدماته الراقية وموقعه الممتاز، قاعدة مثالية للاستمتاع بإقامتك في ملبورن. يُرجى العلم أن ساعات عمل العقار من الاثنين إلى الجمعة من الساعة 7 صباحًا إلى الساعة 10 مساءً. السبت والأحد من 8 صباحًا إلى 10 مساءً. العطلات الرسمية - ربما تكون ساعات العمل مختلفة. The staff were excellent and always assisted with a smile. The rooms were very spacious and very clean. 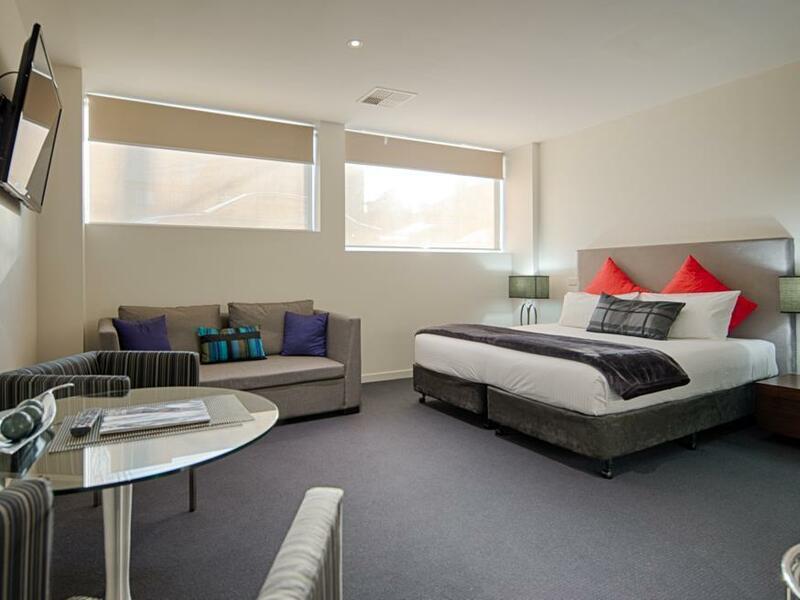 The hotel is located very close to all facilities you require and also very close to Melbourne’s sporting facilities. We chose Adara for it’s close proximity to the epworth Richmond hospital and found the room a one bedroom apartment very good. Reception at Adara we’re very helpful and advised us we could have got a further discount if we had booked direct. Modern, high-end furniture, TV, kitchen appliances, well-maintained. Very comfortable, spotlessly clean room. Gym likewise, small but every machine was working properly and none of the free weights was missing. I'd recommend this unless your top priority is a big room. We had a studio apartment which was plenty big enough. Bed comfortable. Coffee, biscuits & muffins available in reception. A very enjoyable stay. Would definitely recommend. Poor maintenance. Elevator with loud banging noise (not sure why). Airconditioning making too much noise, also at minimum fan speed. Kitchen utensils not clean like food remains in mixing bowl, cups and glasses stained and not clean. Making up of room not daily and unpredictable.. Office staff seemed OK but should inspect apartments for cleanliness. Great area to stay . Tram stops out the front , short distances to cbd. In house meals delivered are reasonably priced and the food is delicious. Staff friendly from the reception to the cleaner s. Second time to stay here. Will definitely be back and I highly recommend it . 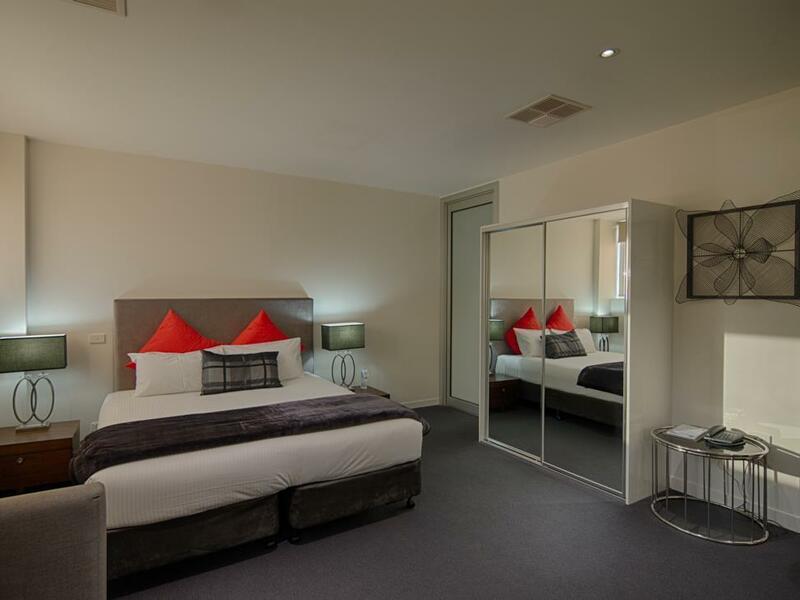 Great location for walking to MCG or Tennis Centre. Good size rooms. 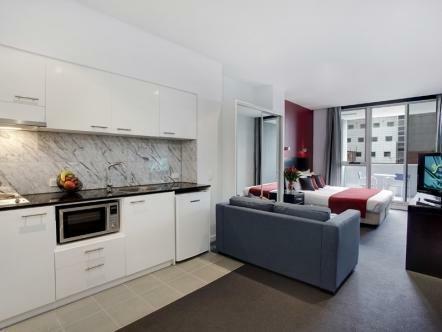 Very happy with the apartment - good size, modern, clean and quiet - pleasant staff at reception. Fantastic location for us. 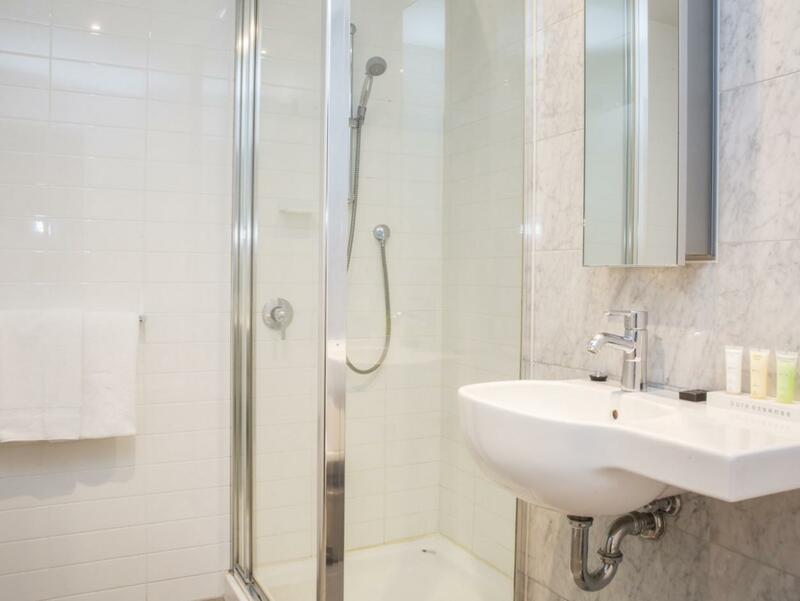 Clean and with all the facilities you needed. Was perfectly situated for my weekend away for the footy. It's only a short stroll to the All Nations where you can have a couple of beers before catching their courtesy bus to the G.
I have stayed here for weeks at a time and also for just one or two nights at a time and have found Adara Richmond to be very consistent, a good nights sleep, close to restaurants and also to a supermarket if you need to stay in. It has been my home away from home (for medical reasons) and I highly recommend it. we have stayed here before, and love the area. we catch up with our adult son, and this is a great place to stay, and the staff are very friendly and welcoming. i love how spacious the room is.,and 2min walk to bridge road. there is a great little pub around the corner, with great food. We booked into the Adara because of its proximity to the Epworth Hospital. We had a one bedroom apartment which was spacious and very comfortable. The staff were happy to advise us where to eat and where to short term park for free. The room had a washing machine too which was great. 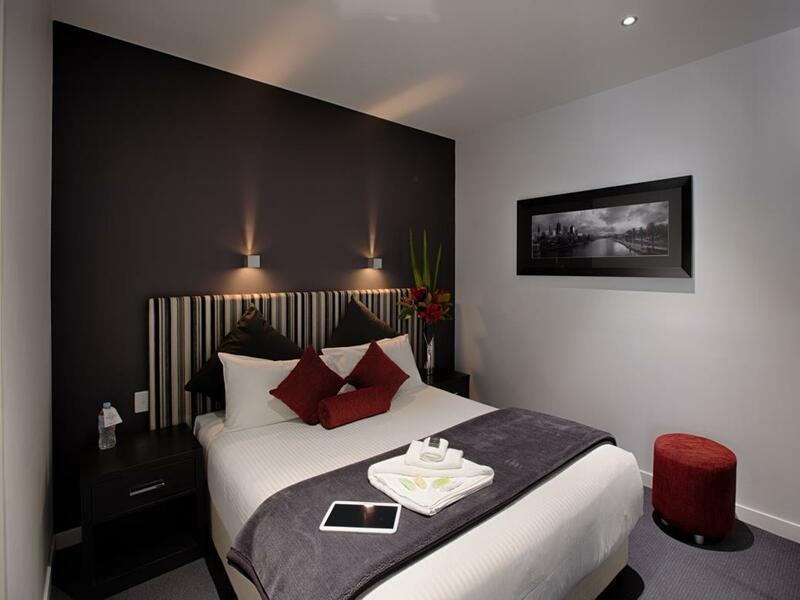 we booked the one bedroom executive room, very spacious, warm and welcoming, with a private balcony. 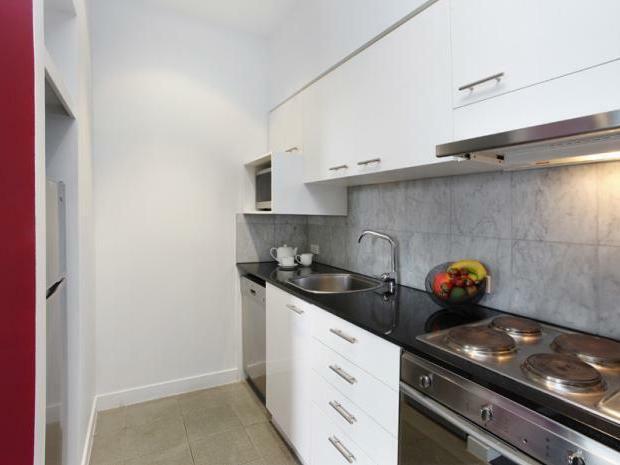 walking distance to the west richmond station. 2min from bridge road. 24hr in room service.we will definitely be staying again. there is a cafe in bridge road a must for breakfast, richmond hill cafe&larder. try the 8hr slow cooked brisket with poached egg. delicious. not on the menu every day,so ask prior, booking is recommended. We found this Motel to be very convenient clean and in a handy location, only slight downside was that there was no pool on the premises which would have been perfect as I love a morning swim. But otherwise very happy and would stay there again easy. Apartment is well equipped with everything you need, however no TV in the bedroom is unheard of nowadays. Disappointed I was unaware of the building construction occurring next door, I would've stayed elsewhere if I had have known upfront at the time of booking - no sleep in! Very comfortable and clean but there was a bit too much black and charcoal in the decor which made my apartment quite gloomy. It would probably been better if i had been able to leave the main blind open but there was a building site directly opposite.